Camera Trapping. I’ve been doing it for some time now, but I’ve only just recently become aware that it is called “Camera Trapping”, and that it is a rapidly growing hobby activity. Professional wildlife photographers and scientist have been using camera traps for decades, but the tools of the trade have only recently become available to the causal hobbyist. 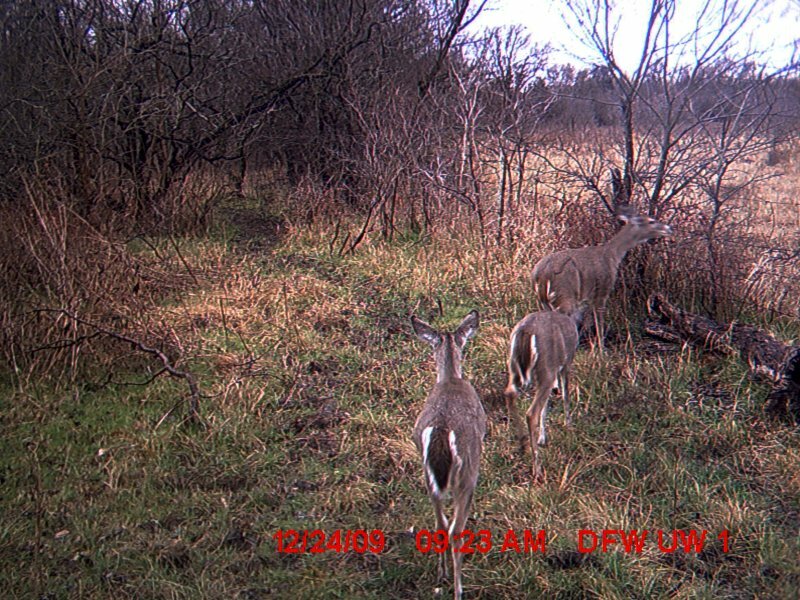 Game Cameras (also known as Trail Cameras, or Scouting Cameras) used by hunters to scout remote locations are the key to this hobby’s new accessibility. 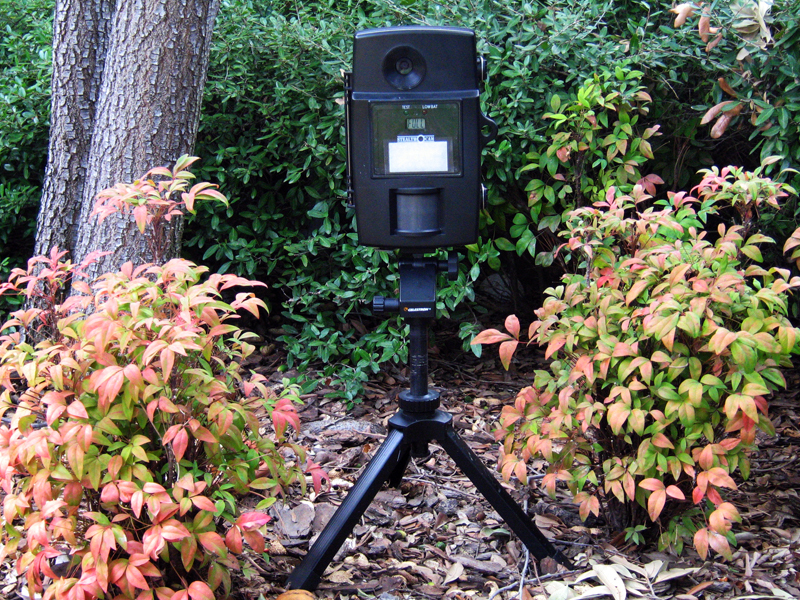 Originally these automatic game cameras were film based. The advent of digital photography and the adoption of digital cameras by the Game Camera industry revolutionized the equipment, made it affordable, and put the hobby of Camera Trapping within the reach of everyone who wished to pursue it. With digital cameras the number of photographs one of these units can take went up dramatically, while also allowing for the miniaturization of the equipment. 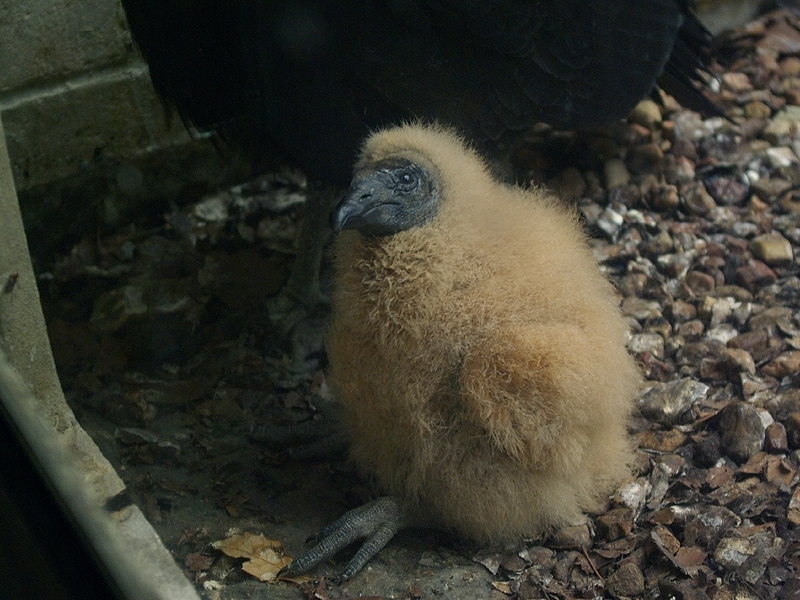 A more recent development are flash-less cameras that use infrared technology that require no animal-disturbing flashes, and also allow for night time video recording. Some cameras can do time lapse photography. And, some high end cameras make their photographs accessible remotely by cell phone. 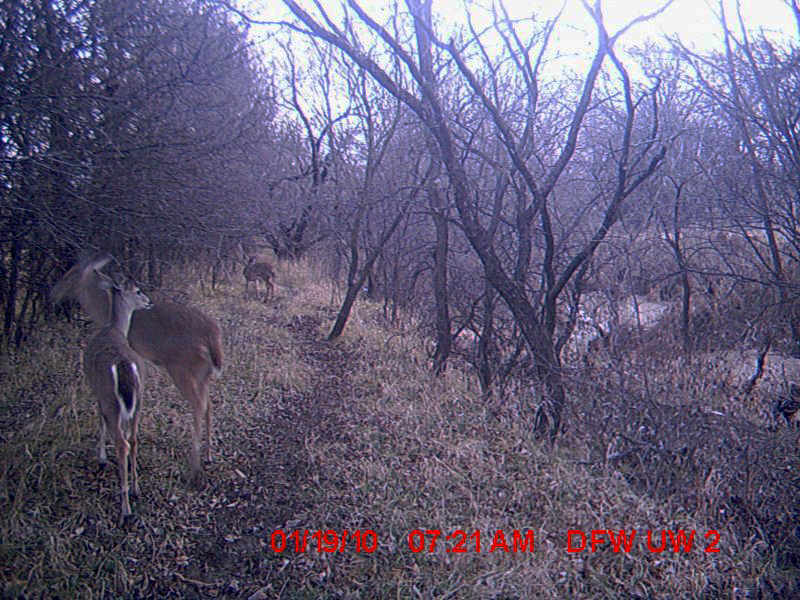 I have been using Trail Cameras to collect photographs for the web site for years now. My schedule rarely allows me the luxury of monitoring a location where I suspect wildlife activity for an extended period of time, so I use the game cameras in my place. I will place a Scouting Camera anywhere I suspect there might be some interesting wildlife activity occurring. Especially if the activity is taking place after dark. Commercial cameras are Optimized for photographing large game animals like White-tailed Deer at relatively long ranges. These cameras will often need slight modifications to be useful shooting closeups of small animals. I typically use my Scouting Cameras mounted on a compact tripod, sometimes with a piece of wax paper taped over the flash to minimize the risk of overexposing an up close subject. Camera Trapping can take a lot of patience. Not every setup will produce good results. 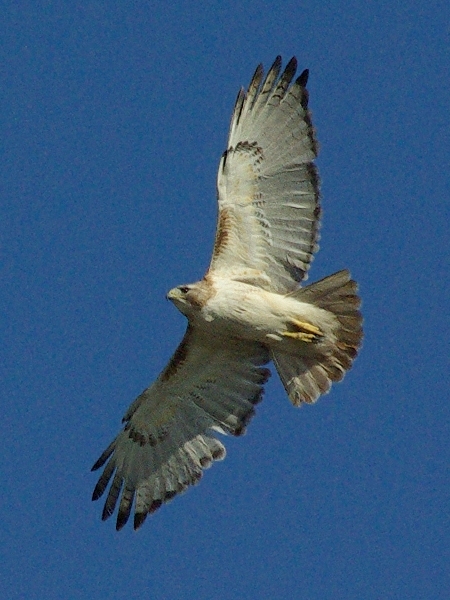 Getting wildlife in front of the camera can be a challenge. You will also need to come to terms with the ethical questions raised by baiting the cameras. In urban and suburban areas, especially, you will have to worry about your cameras being tampered with, or worse, stolen. I have a fine collection of photographs of curious passersby stopping to take a closer look at my cameras. So far, most have only been looking. Some have touched or picked up the cameras, but none of my units have been stolen. A chain with a lock helps keep honest people honest! There are four White-tailed Deer in this photograph. A Coyote after a snow storm. This shot was due to serendipity. Early, a curious cow had knock over the camera . By pure chance the camera ended up pointed at the top of this tree. When this Great Horned Owl came along, the camera was able to take its picture. A Coyote and Bobcat together. A White-tailed Deer family near Carrollton, Texas. 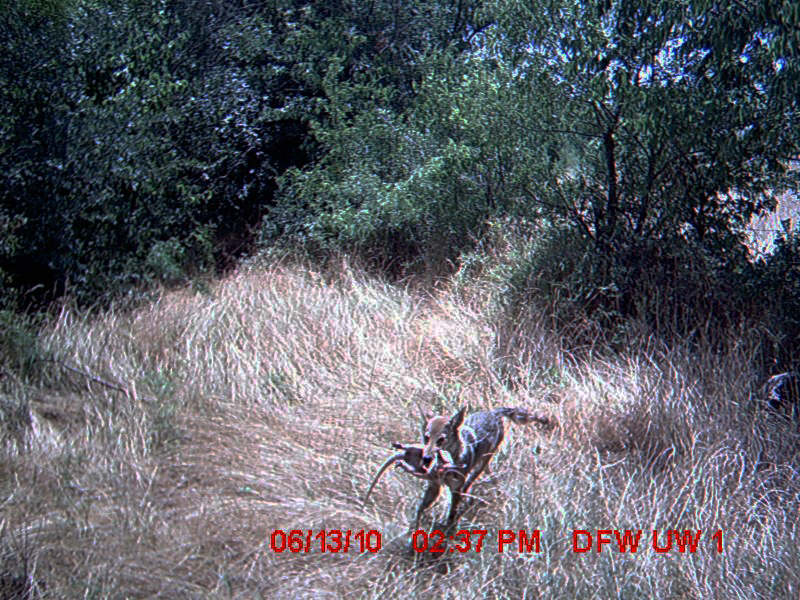 A juvenile Coyote with a captured Armadillo. 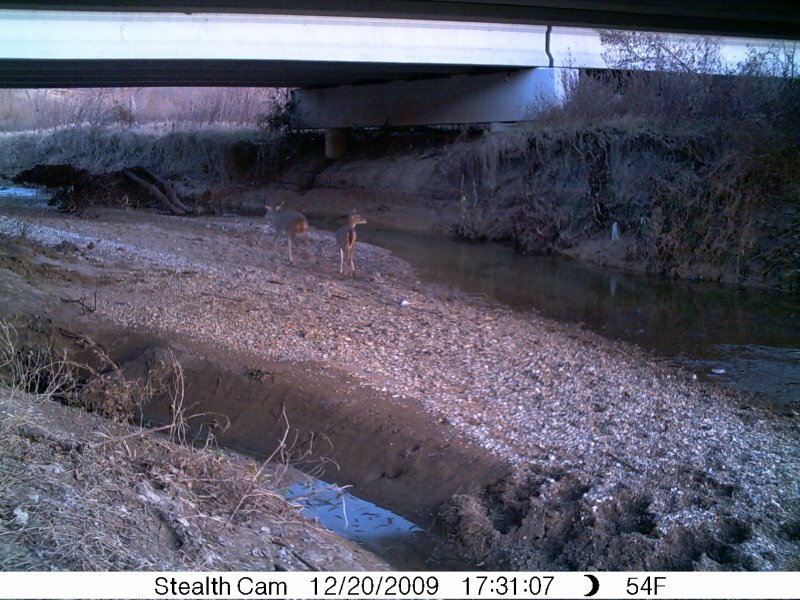 White-tailed Deer transitioning from one plot of land to another by traveling under a bridge. 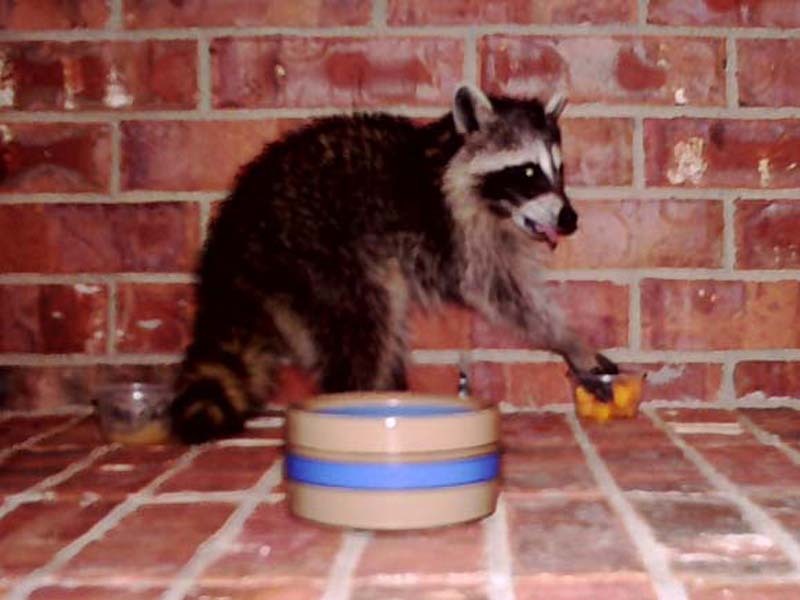 A juvenile Raccoon having a snack on my front porch. 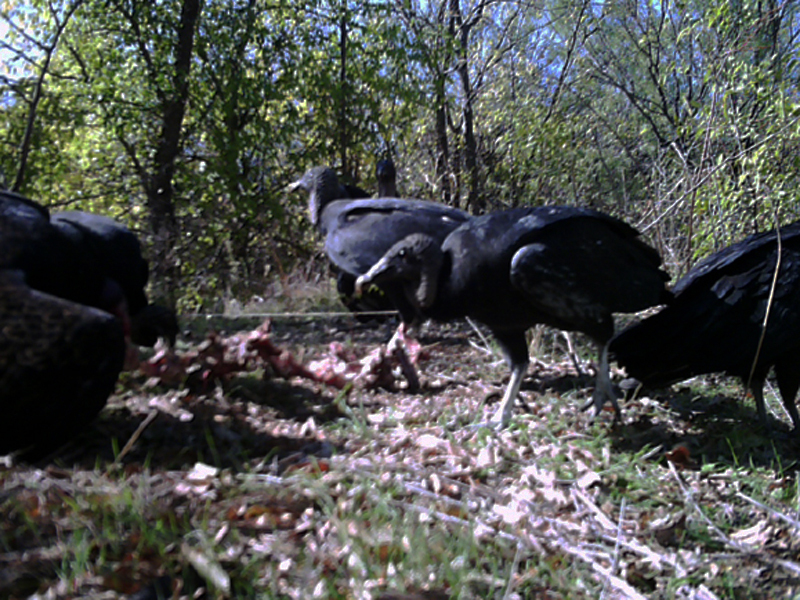 Turkey Vultures and Black Vulture in competition over a carcass. Of course, wherever there are hobbyists involved there will be those who are not satisfied with what is commonly available. There will be those who want to push the limits of what’s possible. That’s how the emerging branch of the hobby known as “Home Brewing” began. A “Home Brewed” Scouting Camera is one that has been custom designed and hand built by the hobbyist himself. These Home Brewed setups make use of consumer point-and-shoot digital cameras, custom designed motion detectors and control electronics, to achieve photographic results generally not possible with commercial Scouting Cameras. Home Brewing requires “Hacking” an appropriate point-and-shoot camera so that it can be interfaced and controlled by the custom motion sensor and control electronics. Some of these hacks can be quite delicate, so this aspect of the hobby will not be for everyone. But, if you are interested in giving it a try, there are kits and instructions available on the internet. 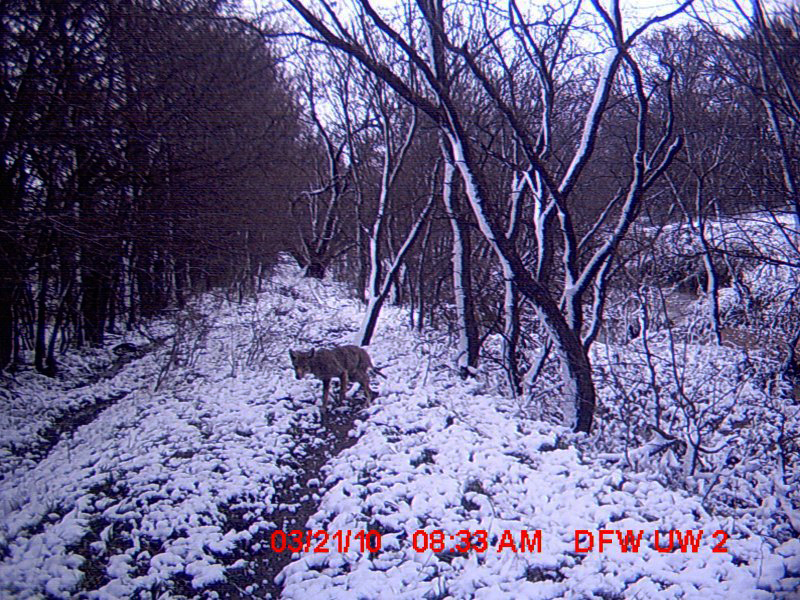 Your photos are fascinating: a coyote and a bobcat together?! What the…?! Is that normal? 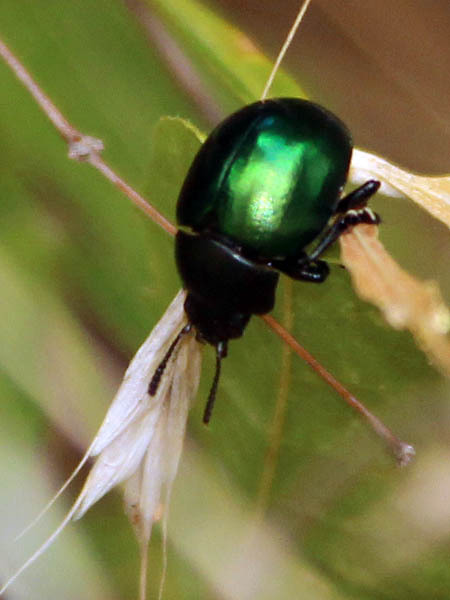 I would think the two species would avoid each other. 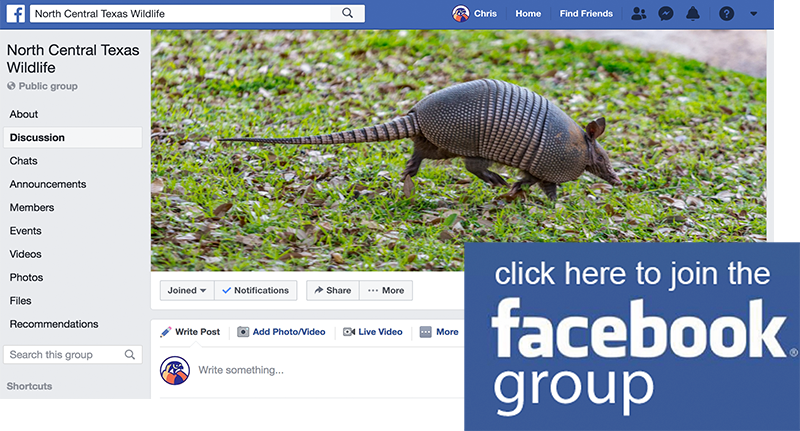 And the coyote running off with the armadillo in its mouth – what a shot. 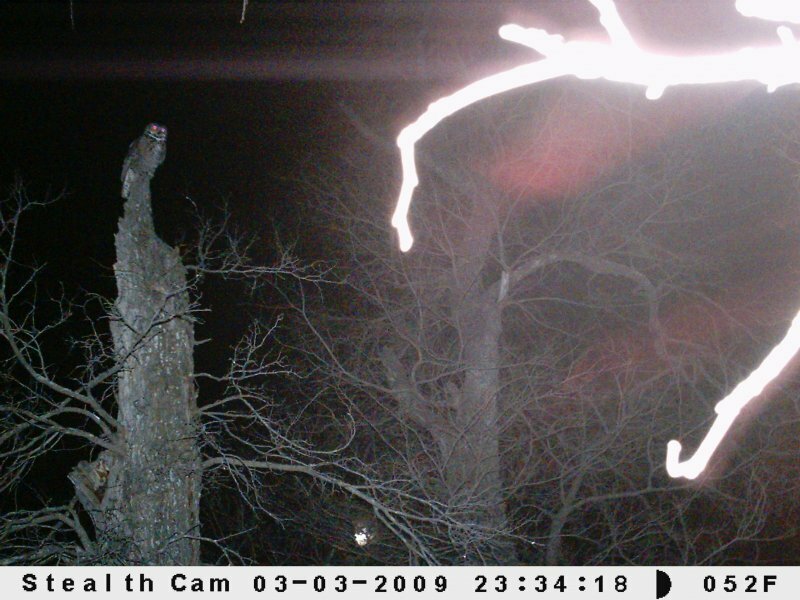 Also the Great horned owl, taken up by your knocked-over camera is so strange and eerie. Nice work. I’m not sure how to explain that pairing. 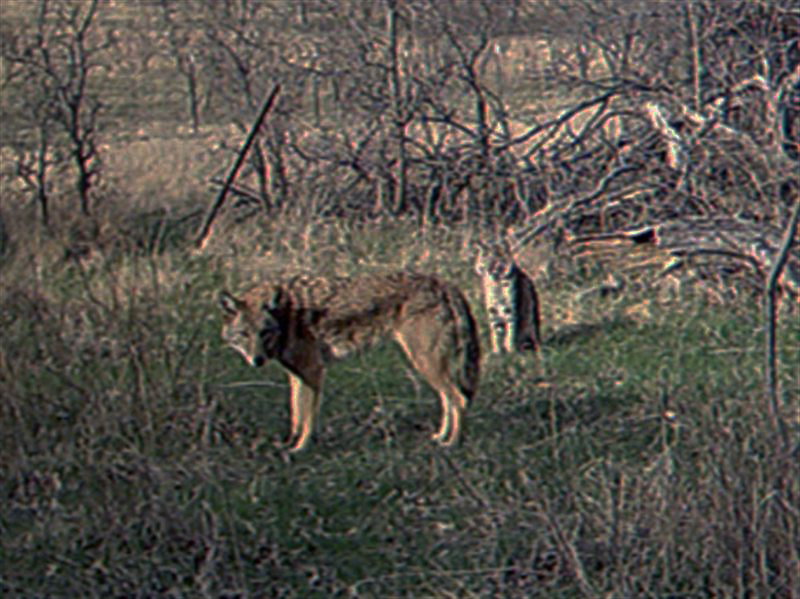 The site was baited with apples, so that explains the omnivorous Coyote, but it does not explain the strictly carnivorous Bobcat. Two thoughts… there is a cattle trail that runs perpendicular to the camera, and it is well used by many different animals. It’s possible that the Bobcat was just following the trail and showed up just in time to be photographed next to the Coyote. Alternatively, the apples I used to bait the camera attracted a LOT of Coyotes. I suppose its possible the Bobcat stopped by to see what all the hubbub was all about. I got three shots of the two of them together. I think its very interesting that there are no signs of antagonism between the two animals in any of them. A great write-up on what camera trapping is and how it works. The bobcat, coyote duo is certainly interesting behavior. And it is interesting that you got multiple pictures so they had to both be there for at least a short amount of time and did not run the other way the moment they saw eachother. Those two actually walked off picture together. You can see the rest of the sequence here. No problem on the link. I hope to pick up some tips from your site. I haven’t figured out the Gray Fox yet, for instance.